Eligibility: Position open to local Kenyan hires only. About Innovations for Poverty Action: Innovations for Poverty Action (IPA) is an international non-profit research organization dedicated to discovering and promoting effective solutions to global poverty problems. IPA works in partnership with development partners and academic researchers to create and evaluate approaches potential solutions to poverty problems using randomized evaluations in the fields of health, education, microfinance, governance and agriculture. We also mobilize and support these decision makers to use these solutions to build better programs and policies at scale. About the Project: The Kenya Participatory Budgeting Initiative (KPBI) builds on international practices supporting public participation and social accountability at both the county and national levels. The monitoring project leverages opportunities in Kenya to pilot new monitoring techniques, better understand Kenyan Participatory Budgeting programs, and use this knowledge to inform Participatory Budgeting design and operation throughout the country. The result will be a better understanding of how Participatory Budgeting impacts citizens in Kenya as well as a foundation for expanding novel, knowledge-generating monitoring techniques across all of Kenya’s Participatory Budgeting programs. 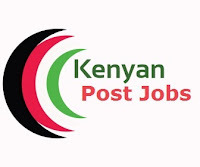 About the Position: The Field Officer under the general supervision of the Field Manager and within the limits of Innovations for Poverty Action-Kenya policies will implement survey field activities and functions. Below is a list of some of the general duties and responsibilities of the Field Officer, to be carried out as needed according to the determination of the Field Manager. This position will be based in Baringo County and with up to 90% of field travel across all sub counties. · Data collection on SurveyCTO: Assist with translations, piloting surveys and actual data collection. · Ensure proper respondent screening for eligibility and administration of informed consent. · Providing feedback during debriefs on field operations and survey instruments that will inform and monitor improvements in project operations. · Completion of scheduled activities each day in a timely manner including keeping logs of work accomplished and call backs as assigned by SFO and PB management. · Interact with community members with the highest level of integrity and understanding. · FO will be required to attend an intensive one-week training prior to data collection. · Other tasks as assigned by the SFO/FM/RM. · Bachelor’s degree or Diploma in social sciences, public policy, or related fields. · 2-3 years of field research experience. Extensive experience in implementing data collection. · Previous experience in translation and survey administration. · Excellent management and organizational skills. · Previous tablet-based survey experience / computer literate. · Experience in conducting data collection in Baringo. · Experience in developing work plan, survey tracking and reporting. · Demonstrated ability to work in demanding environment including weekends. Disclaimer: The above statements are intended to describe the general nature and level of the work being performed by the Field Officer PB Project. The statements are not intended to be an exhaustive list of all possible duties, tasks, and responsibilities. Management reserves the right to amend and change responsibilities to meet organizational needs as necessary. Please note that IPA will never request any form of payment from an applicant.